Your Last Chance To Make Your 2013 Year-End Donation to Mangrove Action Project!! For those who have not yet given a donation this month in support of MAP's work to save the mangroves, we ask your help. Today is the last day of 2013, and your last chance to make a tax-deductible donation to MAP. We have thus far raised $7,100, with only $2900 more needed to attain our goal of $10,000 for our end of the year fundraiser. You can make a difference by giving a donation to MAP now. Let's go into the New Year with sufficient support to allow MAP to expand and bolster our efforts to save the mangroves. Please act now before the year ends so we can take further and stronger actions in 2014 to restore the mangroves and help conserve these vital ecosystems. Mangroves support the life of our planet. Please help us support the mangroves today! Give before year's end, so your donation can be tax deductible. We look forward to hearing from you! Have A Happy New Year With Mangroves! Our annual Fund drive is on! Again, we would like to thank those who have already given a donation this month in support of MAP's work to save the mangroves. We have now raised $4,600, almost half-way to our goal of $10,000 total we are hoping to raise in our end of the year fundraiser. Please consider donating to MAP now before the end of the year, so that we can begin our next year with more strength and backing to restore and conserve our planet's mangrove wetlands. Your donation makes a difference, and will come at a critical time. Mangroves play such a vital role in reducing the ill effects of climate change. Help MAP restore a healthy, productive bioshield along the coasts now vulnerable o hurricanes and typhoons. Through your support, you can help us bring back the mangroves to areas where they can be recovered, and conserve and protect existing mangrove forests before these too are lost. Please help MAP to meet the challenge in the year to come. Give generously today for a tomorrow with mangroves! Your donation, no matter how big or small, can make a big difference! We are now taking pre-orders. Order yours today! 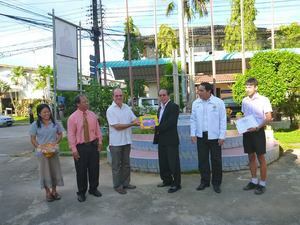 Jim Enright (center) handing over certificate of achievement to a young artist, Taniltorn Nahyiem, at the Muang Krabi School in Krabi, Thailand who had participated in the art contest for the 2014 MAP Children's Mangrove Art Contest. His artwork was one of 13 chosen for the calendar. Editors note: It is sad that we must have this kind of tragedy before we talk about taking a more proactive course in restoring the living bio-shield that mangroves provide. Hindsight, though still important, will not bring back those who lost their lives- those who may have survived this typhoon event if only a healthy mangrove buffer was left intact. Losing over 2/3 of its mangroves, makes the Philippines a vulnerable nation, especially in lieu of the new dangers brought on by climate change. I am writing to you at an important time for all of us. As 2013 draws to a close, we reflect upon a significant year for the mangroves - more organizations and scientists are drawing attention to the enormous value and benefits of these ecosystems that can be at the forefront of climate change mitigation. Mangroves are able to sequester more CO2 than any other type of forest- up to 5 times more. This valuable carbon sink has far too often become a carbon source, with huge swathes of mangroves being cleared for unsustainable developments such as shrimp farming. One can only postulate about how much more severe was the recent typhoon in the Philippines where over 2/3 of its protective mangrove “bioshield” was lost in the last 50 years to aquaculture and other coastal development. We do know that man will never be able to create a stronger, more adaptable, more healthy mangrove buffer zone than nature can. Island and coastal communities living by the sea are becoming more vulnerable due to sea level rise. Yet, recent research shows that mangrove habitats are responding by elevating their soil surface and preventing massive coastal erosion, another huge reason to work with rather than against these vital wetlands. And finally we mention the proposed thermal power plant in Rampal, Bangladesh, to remind you that the largest mangrove forest in the world, and one of the last remaining strongholds of the magnificent Bengal Tiger- the Sundarbans- is under serious threat and needs our help. We at MAP realize the need to expand the level of our work to meet the immense challenges we now must face! We greatly appreciate all those who have supported us, as you really do have a huge impact on us and our projects. We sincerely hope that our program updates and visions for the upcoming year will excite and convince you to donate what you can. www.mangroveactionproject.org showcasing all of the work we are involved in, as well as holding an enormous amount of information about mangroves. We encourage you to sign up to receive biweekly news on all things mangroves, and use the new social media features to promote and spread awareness on all we are doing. 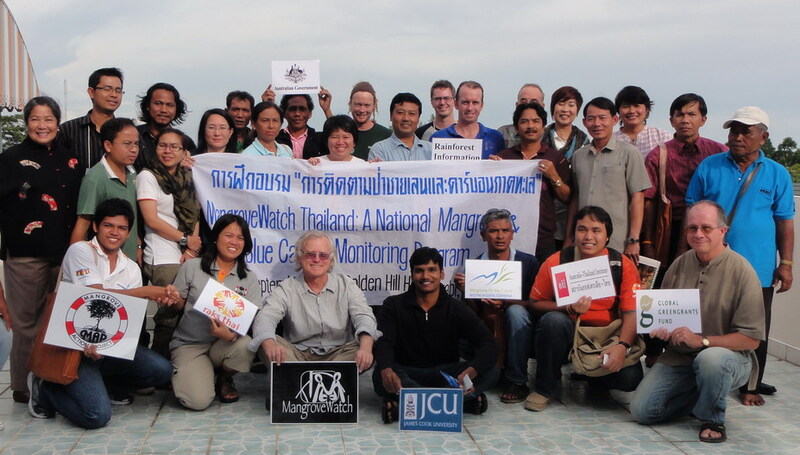 The Mangrove Action Project (MAP) participated in several regional training workshops in Asia in order to promote Community-Based Ecological Restoration. Ning Jarawan Enright, MAP’s Field Project Coordinator, presented at the “Carbon Stock Assessment and Emissions Inventory in Asian Mangroves: Executive Summary for Policy Makers” held in Bangkok in April 2013. The workshop was co-organized by USAID/RDMA (Regional Development Mission for Asia) through their Low Emissions Asian Development (LEAD) program, the US Forest Service (USFS), and CIFOR. There were 40 participants from Cambodia, Indonesia, Malaysia, Papua New Guinea, the Philippines, Vietnam, and Thailand. 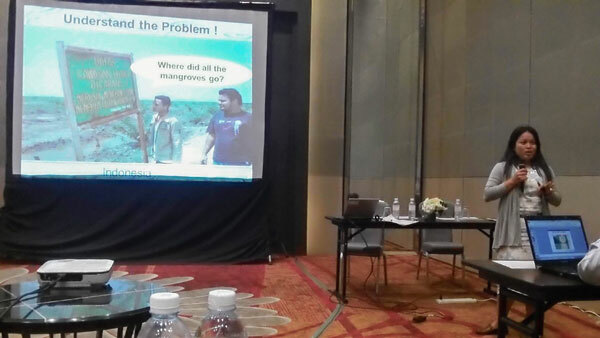 The workshop was a great opportunity for MAP-Asia to share experiences in the region and to re-connect with mangrove network friends representing both NGOs and Government. Ning presented experiences implementing CBEMR in Thailand at the session on “Mangroves and Adaptation to Climate Change”. Ning was also at the plenary panel discussion panel with the training instructors.One of the main points she emphasized was the importance of gaining access to the degraded mangrove area in order for restoration to take place. In MAP-Asia’s experience, the complexity of land ownership in coastal areas of Thailand and time spent securing sites has greatly slowed the restoration process. This year MAP-Asia facilitated a number of informative CBEMR field study visits to regenerating sites in Ranong, Krabi, and Trang provinces in Thailand for students, researchers, NGOs and media. Visitors could learn first-hand from the demonstration site and by talking with community representatives who were directly involved. In line with the goal of further disseminating the CMEMR method MAP-Asia will organize an intensive 3-day training workshop in December for 20 community and NGO leaders which will teach both the theory and practical field skills advancing this innovative working-with-nature technique. The training will take place under the Ecosystems Protecting Infrastructure and Communities (EPIC) project with support from the German Government’s International Climate Change Initiative (ICI). EPIC is a IUCN project which will show how healthy ecosystems can help reduce the disaster risks and make livelihoods more resilient in six countries in Asia, Africa and South America. Local community involvement in coastal resource conservation and management are essential ingredients to promote a roadmap for long-term success in mangrove conservation and restoration. MAP is expanding its work with local communities while fully engaged in CBEMR work. In Thailand, two villages on Phra Thong Island, Ban Tha Pa Yoi and Ban Lions (Pak Jok), established protected areas in seagrass meadows near their communities in July 2011. Those meadows are important sources of marine invertebrates that are harvested for local consumption and for sale outside the community. The most important harvested invertebrates are the dog conch, and the sea cucumber, also known as sandfish. The purpose of the protected areas was primarily to protect those species from over-exploitation. They are easily harvested at unsustainable levels because they are found primarily in intertidal seagrass meadows which are open to access by all members of the community, as well as outsiders, without need for gear, boats, or specialized skills. The purpose of this MAP project is to support the initiative of the two communities to maintain and manage their mangroves and seagrass protected areas, both now and in the future. It is our hope to continue to foster this kind of community involvement in other environmentally sensitive areas where MAP is present. Educating future decision makers about the true value of mangroves is vital if we hope to see future generations conserve their coastal wetlands. MAP’s Education Director, Martin Keeley, has recently introduced the Marvelous Mangroves Curriculum to public school programs in three more nations- China, Belize and Australia. Two more teacher workshops were held in Belize in early August in a continued push to introduce the curriculum to the entire country. Another training workshop for teachers was held in Xiamen, China while also co-producing a 25-minute video on the 3-day teachers’ workshop which can be used in further outreach efforts. Each time the curriculum is introduced into a new nation, it must first be adapted to fit the regional ecology and biodiversity, as well as translated into the local language. Work is also now underway in Australia to establish the curriculum there. It is also now being considered for introduction in Kenya, Madagascar and the Dutch Greater Antilles. Since its founding in 1992, MAP has been opposing further encroachment of shrimp farming into mangrove areas. Shrimp aquaculture is still a leading cause of mangrove loss. In an effort to tackle the present annual rate of 1% loss of mangroves, MAP is expanding its Question Your Shrimp Campaign, opening up a shared office in Seattle, where the campaign is currently based. 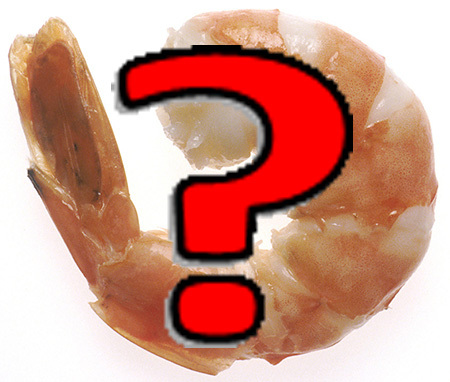 Given that approximately 75% of shrimp eaten in the US is consumed in restaurants, MAP has chosen to focus on asking chefs to take the Chef’s Pledge to not buy or serve imported, warm-water shrimp. Several interns and volunteers have joined the QYS team, carrying out a broad survey of chefs and restaurant owners to better understand how to motivate more chefs to take the Pledge. In the last two summer months of 2013, five more chefs signed onto MAP’s Pledge, promising to purchase only local shrimp caught or produced in the USA or Canada. We also have worked to encourage the public to sign our Consumer’s Pledge, which is available on MAP’s website. Donate to Mangrove Action Project today! A membership in MAP will bring you our biweekly electronic newsletter, MAP News, as well as our action alerts and news updates. Your donation will help support MAP’s global network and those important projects that you read about above. Additionally, your donation of $35 or more entitles you to a free calendar, featuring art from children living all around the world (while supplies last)! Help MAP conserve and restore our planet’s health and ability to sustain life and a future for us now and for future generations. Your financial support will be directly applied to our ongoing efforts to provide real solutions that are eco-friendly, socially equitable, and economically sound. The total of all your yearly donations (including your membership) is tax-deductible except for the value of any periodicals and the value of any thank-you gifts you receive. Purchase our beautiful 2014 calendar created by children from all over the world!